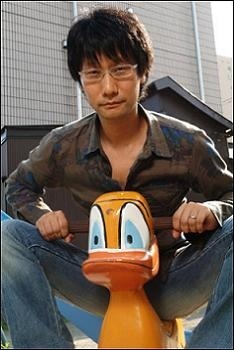 According to Hideo Kojima, the PlayStation 4 and the Xbox 720 aren't the future of how people will play videogames. At a news conference held for Metal Gear Solid: Peace Walker, series visionary Hideo Kojima talked about what he thinks the future of gaming will be, and how it probably won't include consoles. He thinks that cloud computing will become the norm, where the same videogame experiences can go from device to device no matter where players are. "In the near future, we'll have games that don't depend on any platform," he said. "Gamers should be able to take the experience with them in their living rooms, on the go, when they travel -- wherever they are and whenever they want to play. It should be the same software and the same experience." What Kojima describes is the experience that technologies like OnLive aim to bring. Theoretically, they would allow AAA videogames to be streamed to anything from a television to an iPhone and therefore free from specific console restrictions. At the same conference, Sony Computer Entertainment Japan President Hiroshi Kawano told reporters: "It's a bold prediction. We hope he continues to develop for platforms, but we deeply respect his sense of taking on a challenge." Apparently, this was said with a nervous smile. Kojima also said the development of Peace Walker for the PSP, coming to Japan at the end of April and other territories in June, was an experiment to find out what would work for portable gaming in the future he envisions. "I looked at this in part as an experiment aimed at the future," Kojima revealed. It sounds like he's really putting his faith in services like OnLive. With the massive popularity of current generation consoles, I don't think Kojima's prediction will come true anytime soon, but who knows right?